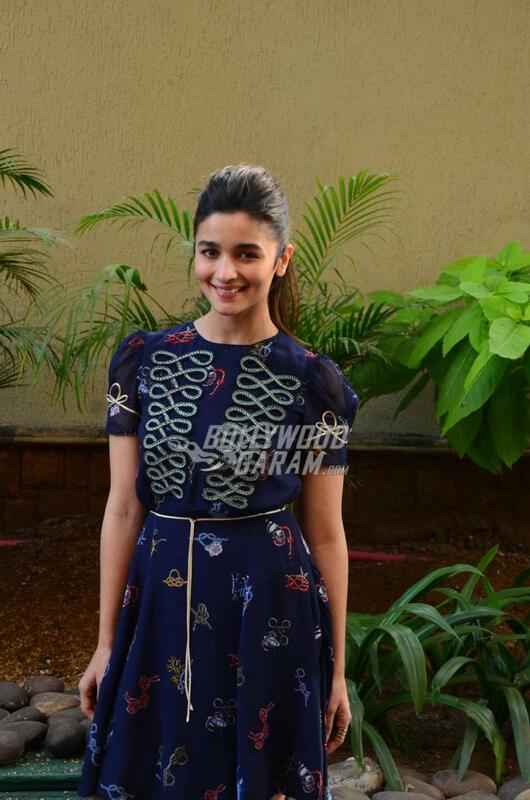 Indian actress Alia Bhatt promoted her upcoming movie ‘Dear Zindagi’ at an event in Mumbai on November 17, 2016. The actress looked splendid in a little blue printed outfit. The teasers of the movie have already become popular among the audience. Alia will be promoting the movie hard and Shahrukh will not be accompanying much in promotions. Reports say that Shahrukh does not want to entire credit for the movie as he feels that Alia has worked extremely hard. The movie is all set to hit the theatres on November 25, 2016.